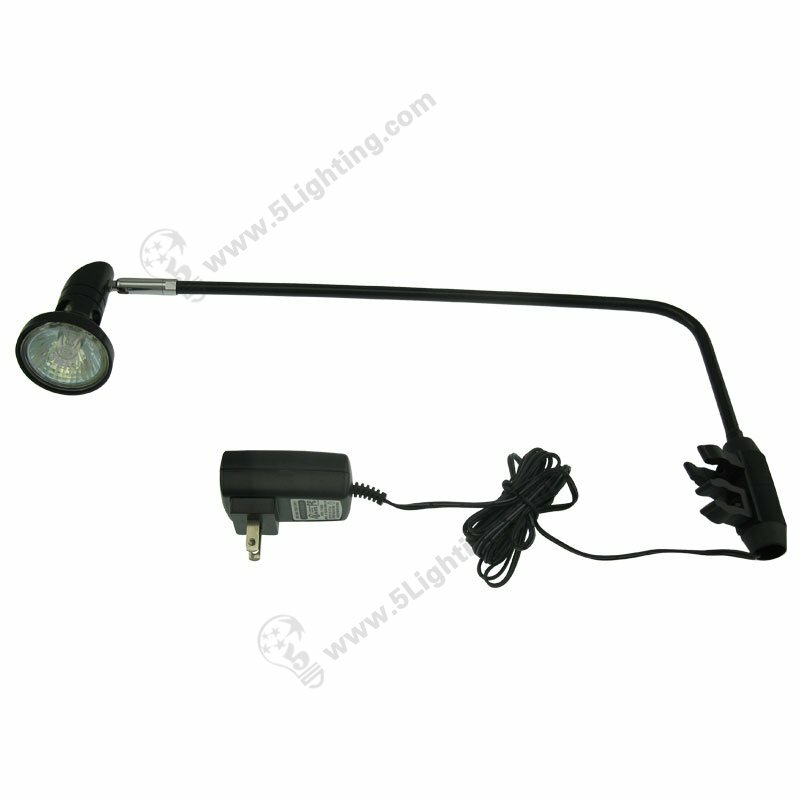 Halogen banner stand lights JZSA006, halogen roll up display spotlights. 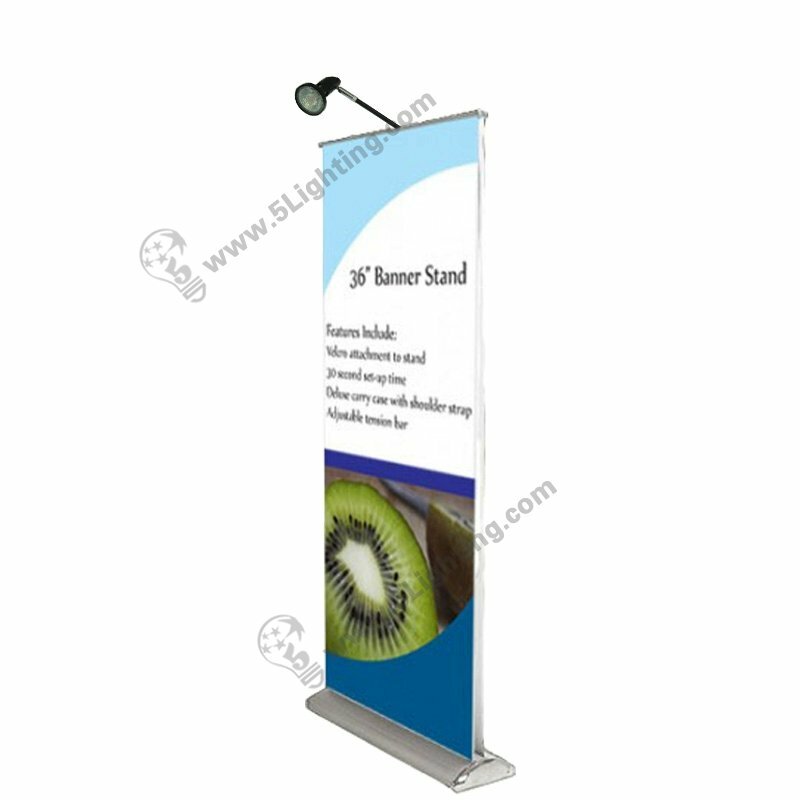 Application: For exhibition banner stand and roll up banner stand display. 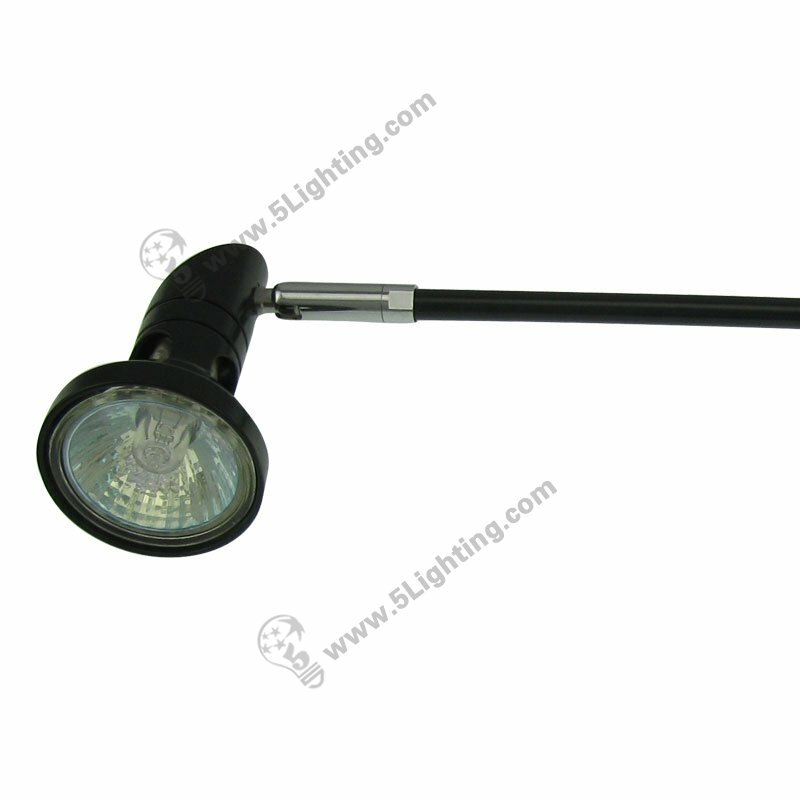 Factory direct sale halogen banner stand lights JZSA006 featured with instant start and bright that emits warm white lighting color with pure and soft vision, with adjustable light head for freely positioning that flexible enough to adjust lighting direction, affects excellent performance that perfectly suitable for trade show lighting and other display places. 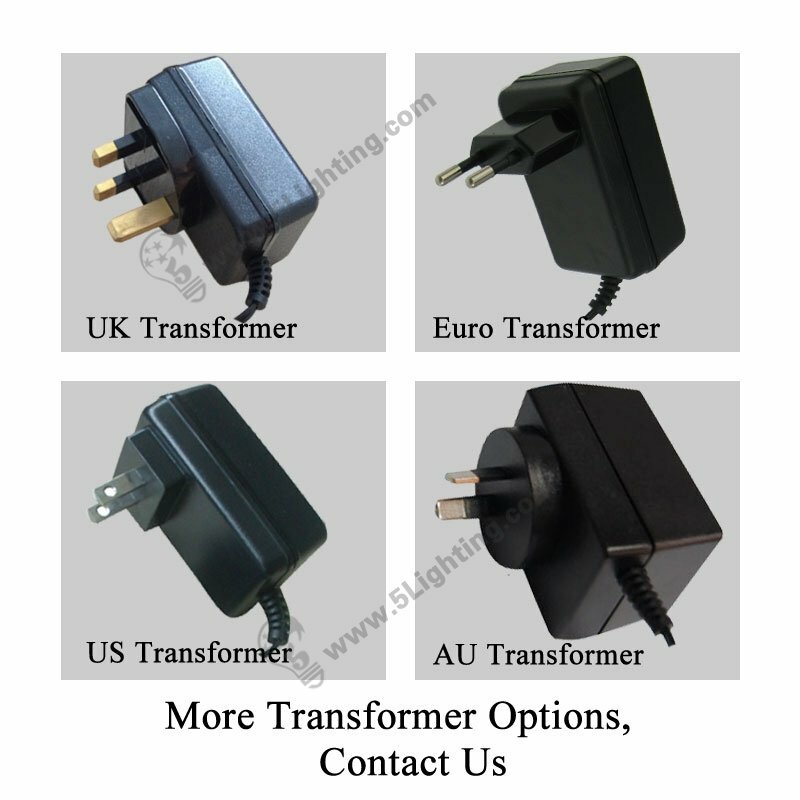 : Trade show lighting: Tradeshow fair, Exhibition, Pop up stand, Banner stands, Exhibition stand etc. 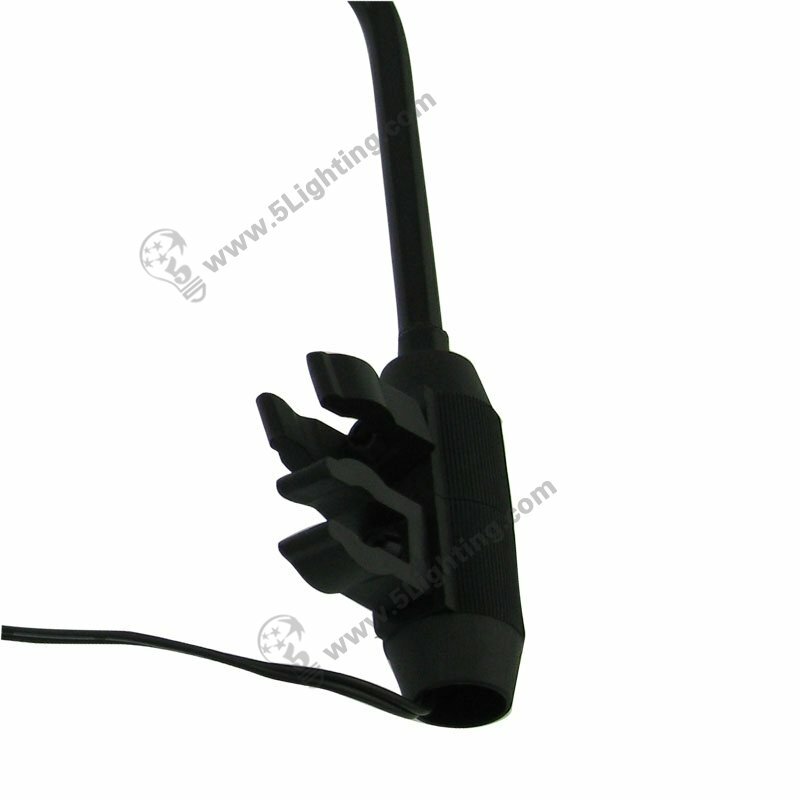 Good quality halogen banner stand lights JZSA006 from 5 Star Lighting Factory! 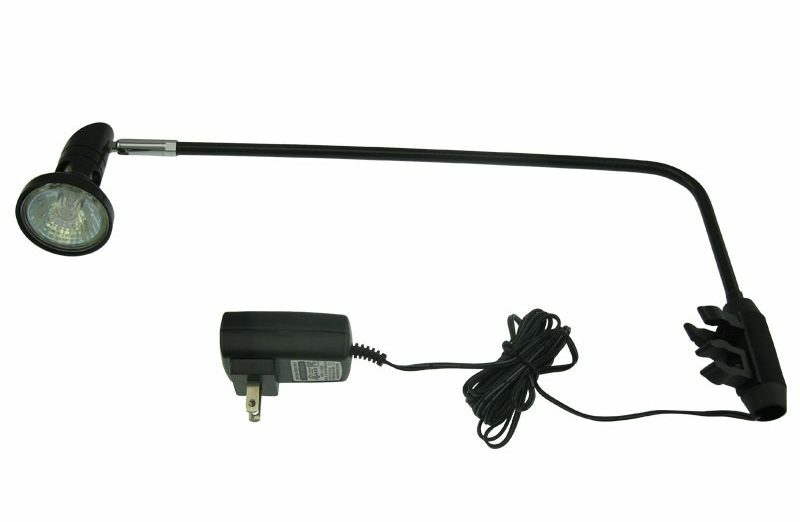 50W, MR16 Halogen Bulb, 12v, Roll Up Display Light Halogen Banner Stand Lights, For Trade Fair Banner Stand Display. a): Perfect design with clear appearance, two different colors in black and sliver. c): It comes with a talent clamp which can buckle on the tube directly. 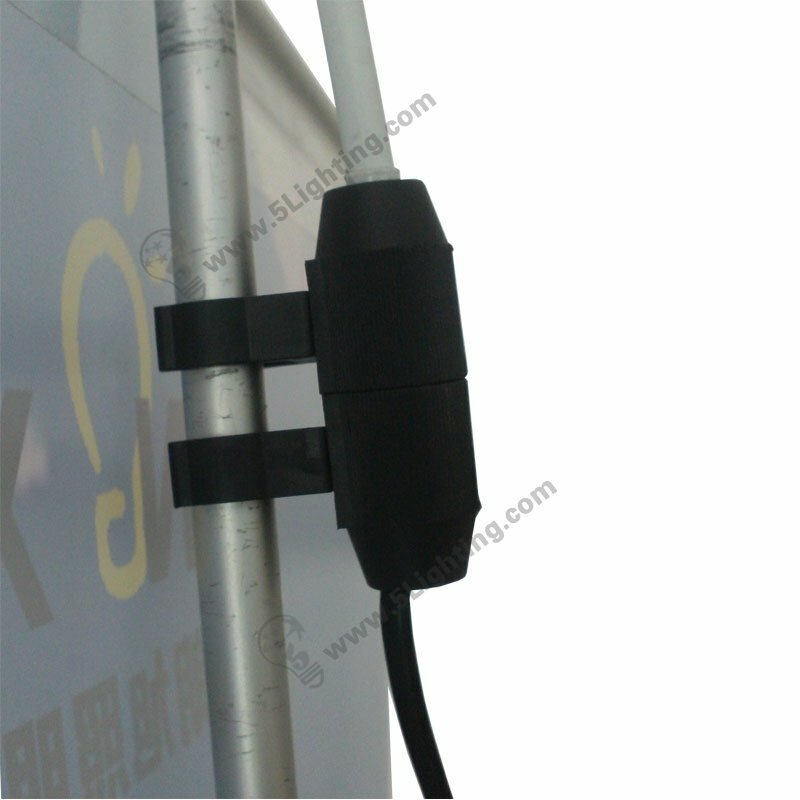 d): This 50 Watts halogen banner stand spotlights model JZSA006, 12V Low Voltage,is used for roll up stand and retractable banner stand display.